Government action is required to ensure that environmental regulation is aligned across the island of Ireland in a post-Brexit world, a new Seanad report has found. The report – Brexit: Implications and Potential Solutions – also calls for Ireland to be “considered a single bio-geographic unit” amid fears that UK and EU regulation in this area “may fall out-of-sync” once Brexit negotiations are concluded. Produced by the Seanad Special Select Committee on Brexit, the report highlights that there has been “little discussion” to date on the potential impact of Brexit on the environment. The Committee report also calls for the Irish government to work more closely with partners in the North, UK and EU member states to “enable effective long-term management of the environment”. “Central to this, the Committee considers that a mechanism should be put in place to ensure the environmental regulation is aligned between Ireland and Northern Ireland and that post-Brexit, common minimum standards are maintained,” the report states. The report continues that this could be reinforced by stipulating in negotiations that the UK must adhere to European environmental law standards to gain access to the Single Market. The Committee heard from an extensive panel of experts, including the Environmental Pillar and the Norther Ireland Environmental Link – who together represent almost 100 environmental organisations on the island of Ireland. Both groups wrote to the EU’s Chief Brexit Negotiator Michael Barnier this week outlining concerns about the impact of Brexit on “crucial cross-border cooperation” and calling for the island of Ireland to be recognised as a “single bio-geographic unit”. The letter reiterates the findings of the Seanad report that environmental standards remain aligned across the island of Ireland and to avoid a “hard environmental border” which would undermine decades of progress in addressing a range of environmental issues. “Any future divergence or lowering of standards on either side of the border would be bad for the environment, bad for citizens, and bad for business,” the letter continues, with both groups requesting a meeting with Mr Barnier to further discuss the issue. At a recent conference in the border town of Dundalk, Vice-President of the European Parliament, Mairead McGuinness emphasised that environmental standards “must not be diluted” by the UK’s exit from Europe. “Brexit poses many challenges but the threat to environmental progress, which the EU has championed, is one of the most significant,” added the MEP for the Midlands–North-West. 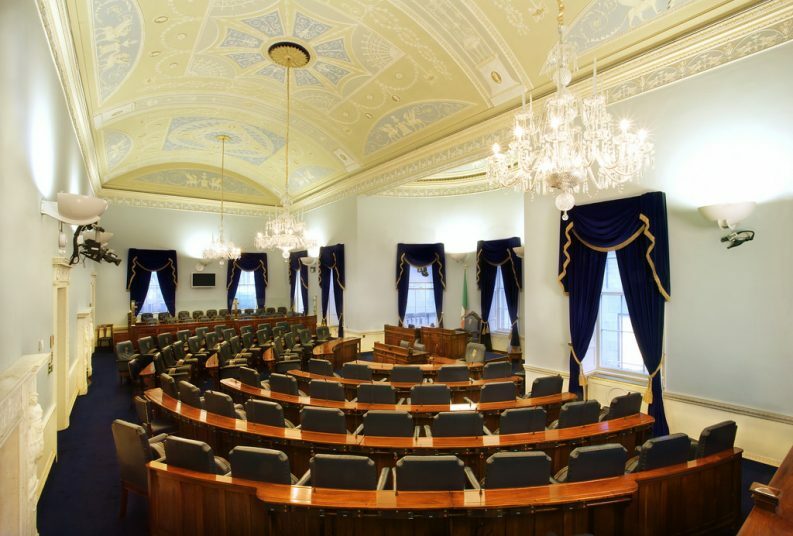 The Seanad report will be sent to all government departments, as well as EU Member States and institutions. The Committee will also be seeking a Seanad debate on the report.